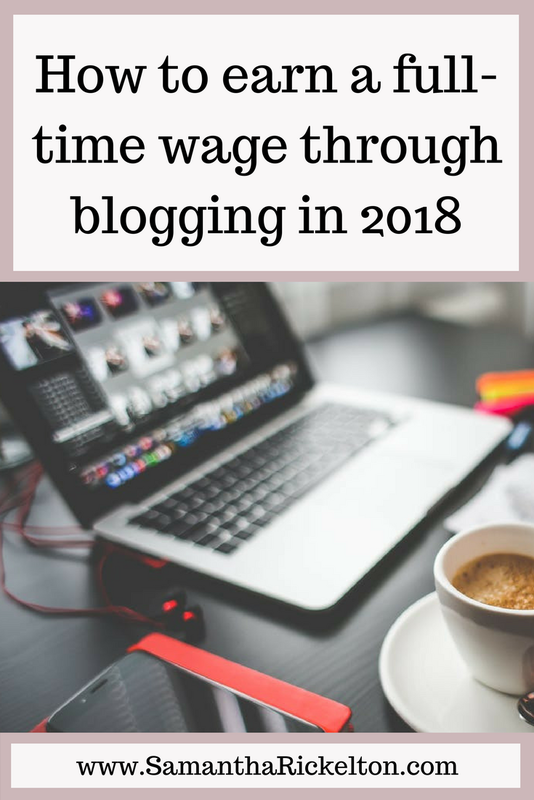 A question I am asked fairly regularly is how to make the leap from hobby blogger to earning a full-time wage from blogging. Unfortunately, there is no secret formula but today I'm going to share a few hints and tips that have helped me to move from hobby blogger to earning a part-time wage and then onto a full-time wage through my blog. The main way I earn through North East Family Fun is by working with PRs on their current campaigns. If you see 'this is a collaborative post' at the top of a post, I will have been paid (or occasionally gifted products or experiences) to write that post. I also earn through creating videos for brands, by sharing brand messages via Social Media and through affiliate links. I left my part-time employed job in the NHS in October 2015 - I made sure that I earned the same amount of £ through my blog as I did through my job for 6 months straight before I was comfortable enough to leave. Over the past two years I have grown and I would say my income has at least tripled or quadrupled since leaving work. In January I earned six times what I did in my old job through blogging. Writing that down scares me a little! Leaving the NHS was honestly the best thing I've ever done. As I was completing my tax return last month I was shocked at how little I worked for in 2016-17 and proud of how far I'd come. I honestly cannot say this enough. It has been the most significant way I have grown my blog and therefore increased my income. If you're consistently relying on joining like for like groups, Facebook engagement threads, Instagram Pods and Comment Pods and the thought of publishing a paid-for post without joining in with these fills you with fear that the post will bomb, you need to change. I see Facebook pages that are filled with what I'll call 'fake comments' by other bloggers who have joined in a comment swap thread and it is SO obvious. I call this fake influence and it is not going to endear your Facebook page to PRs - they're not silly and will take one look at your page and will wonder where the real readers and followers are. I'm not totally against joining in threads like this, I'll even do it myself around once a month if I want to give a particular post a boost. It's when you're relying on threads and pods like this on a weekly basis that I think it's an issue. So..... my advice to you if you REALLY want to grow your blog in 2018 is to ditch the pods and invest time engaging with real readers and potential followers instead. It is honestly the best thing you can do for your blog. While I'm on, buying fake followers is not a quick way to the top either. PRs can use tools such as Twitter Audit to check accounts and if you have 10k+ followers but very little in way of engagement - eg no retweets and minimal likes on your Tweets, this looks very fishy indeed. Similarly, don't be tempted to pay for bots to like your Insta photos either. Again, PRs don't care about spam comments or if your photo has 100 likes from random accounts from China - they are looking for genuine engagement and comments and the only way to get there is to grow your accounts organically and invest time in commenting on and interacting with other photos. When looking back at my tax return, I was shocked at how much pre-written content I was still posting back in 2016. This was when I was working fully self-employed but only earning a part-time wage. 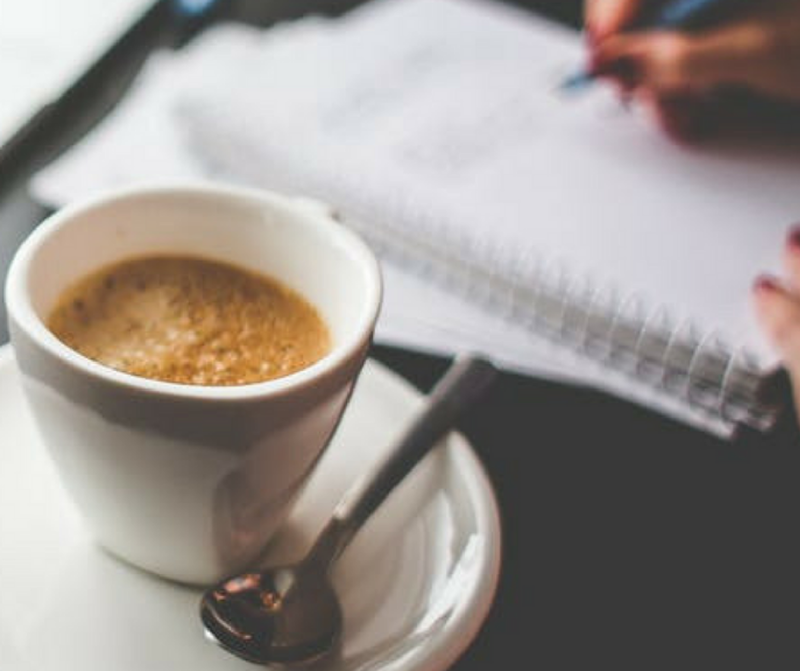 Pre-written content can seem like easy and quick money (and it is) but as I gradually reduced the amount of pre-written content I accepted, the more my blog was able to grow in terms of quality and I was then able to charge more for proper PR campaigns. You only need to scroll your bloglovin to see post after post of pre-written content - '5 trends for spring 2018', 'How to add colour to your home' or 'How to add a touch of spring to your home'. I will be honest when I say that these posts are SO boring. Who are they targeted at? They are full of poor quality links and posts like this honestly add nothing to your blog. Your readers want to read about you, your opinion and see your photos not stock images. Remember why you started your blog and let your personality shine through always. I do still very occasionally add pre-written content to my site now but it's only if I definitely know it's going to be of interest to my readers. I am very strict about my criteria for pre-written content and if you'd like to grow your blog and turn it into a full-time job, I'd advise you do the same. SO many bloggers stress over their DA and spend too much time focussing on it my opinion. DA is part of what a PR will look for but is definitely not the main factor. Your DA is important for posts by SEOs but these usually pay a lot less than a PR campaign. As long as your DA is over 25, it's time to stop stressing. Still continue to link build, internally link and comment/provide quotes for other sites and blogs but don't let this be all consuming. Again, you should be focussing on engagement. I can't say this enough! Spend time generating conversations, growing your Social Media and posting high-quality content that readers naturally want to share instead. When I left my employed job, I will hold my hands up and say I wasn't acting like a professional blogger. Now I don't think you *need* these things but it definitely helps to maintain a professional image. I've since invested in a Media Kit (check out Canva - it's free and has lots of templates), I have my own blog T&Cs and now use an invoicing system (I highly recommend Wave - again it's free and you can create your own invoice template). I recently invested in Gsuite and now have a professional (aka own domain) email address too. All tiny steps that have definitely helped to improve my work prospects. If you don't already have them you also definitely need a professional blog template, a decent camera (or a good camera phone) and your own domain. Most bloggers I know that blog for a living go through the same kind of pattern that I have - post at least 5 x per week for a number of years, then maybe increase this as you first start your full time blogging journey and then gradually get to the stage where you don't need to post so much as you already have a ready and waiting audience. I would say if you're looking at earning over £1000 per month, you need to post at least 3 x weekly. This is to give your audience more content and a give them a reason to come back for more, it's to increase your page views and will generally grow your audience at a quicker rate too. I posted 5-7 x per week for years and it's only now that I don't feel the need to post quite so frequently. Also if you're starting out and only charging £100-£150 per post, you don't want to be in the position of only posting sponsored content. The more you post, the more you can afford to add sponsored posts into the mix and therefore increase your earnings. You don't need a niche to be successful but I do believe if you have a niche, it really helps. For me, I am often the go-to person if somebody is looking for a family blogger with older kids to work within the North East (cringe at the bigging myself up but it's true) and I'm also asked for advice about working with bloggers by local businesses and brands on a regular business. Establishing yourself as an expert by following best practice, using Linkedin, networking and posting multiple articles in your niche will definitely help you on your way to earning a full-time wage through blogging. Many people think that blogging is a quick way to earn freebies and cash, but as you know, it's really not. If you want to earn a full-time wage, you have to be prepared to make sacrifices and put the time in. You may dream of spending your days as you please and yes, you will have some freedom but if you take time out for coffee with friends in the morning, I can guarantee you'll be paying for this later and will be working late. You also need to work at some point over most weekends so plan for that too. I would say you need to invest at least 20-30 hours a week into your blog if you'd like it to be your full-time job. My work diary is split into 38 hours worth of work per week but in reality, it's still more than this. It's all worth it though. Above everything else, I truly believe that content really is King and if it's at the heart of everything you do, you'll be a success. Write with passion and from the heart. Don't accept pre-written content - your blog should be about you. Write posts that your readers want to read and share with their friends. Write posts that inspire and are filled with honesty. Really think about SEO - my page views are as good as they are thanks to decent SEO on a fair few posts which are read every single day by people finding them through google. Write about subjects that people care about and want to search for. Don't accept sponsored posts or review items that don't inspire you or that your readers won't be interested in. Say no to working with brands if it doesn't feel right. Good content will always shine through, end of. I am not the most successful blogger in the world but I have definitely felt like there's been a shift in my earnings, the brands I've worked with and the campaigns I've been approached to work on over this past year and it's mostly down to the points I've shared above. These points won't work for everyone and I bet other bloggers have had success using different methods but they are what have worked for me and part of my story. I hope you've found this post useful - let me know in the comments if you're planning on upping your blogging game this year and how. I publish weekly blog posts featuring blogging tips and life as a woman in your 30s. If you'd like to never miss a post and receive new posts via email, you can sign up here. Great post Sam, really helpful - it’s like it’s written for me. I’ve not accepted any pre-written content yet, I’m always turning it down. Maybe sometime but I’m really strict on what I would accept. The point about posting 3 times a week is interesting to me. As you know, last year I increased from 1-2. I’m currently doing 2 blog posts and 1 vlog a week (some weeks mark is lazy with the editing). Perhaps I can increase to 3 in April when Lena gets her Nursery hours. Honestly though, I often think ppl put out too much content. Most of my content is non sponsored so to put 3 posts of non sponsored content out feels a bit forced. It’s easy when I’ve got jobs on though, iykwim. This is a really interesting post, Sam. I've taken on board quite a few tips - and I really must try and stick to a defined number of hours per week. That's the hardest bit, I find. Really helpful post, thank you, I’ve taken the plunge and am freelance but am trying to mix my blogging with digital marketing too. Tricky to find enough hours! You’re achieving some inspirational things though which helps to give me hope! Thankyou this is a really helpful post. I'm one of your biggest fans I think you know! I always love the way in which you say it like it is and give sound, honest no nonsense advice. I'm on a mission this year with both blogs. Thank you for this. Lot's to take in and I think I need to go and work out some kind of strategy.